It’s Walk to Work Day this week. Laura King looks at options for encouraging active commuting in your organisation. Active commuting — ie using physical activity as a means of transport such as walking, running or cycling — has many benefits. It improves mental wellbeing, physical health and saves money on fuel costs and vehicle wear and tear, not to mention any savings on the gym membership that’s no longer needed. Not using a personal vehicle for the daily commute is not just beneficial for employees. Active commuting is a good antidote to the effects of sedentary jobs and numerous studies show that a physically active workforce is less likely to take sick leave, is more productive, less stressed and happier at work. As trends towards a healthier lifestyle become more popular, having a workplace that allows for active commuting can also help improve staff recruitment and retention. Furthermore, a reduction in private car use will reduce indirect carbon emissions, benefiting the organisation’s environmental credentials too. There’s no doubt that encouraging employees to use other means of getting to work is good for everyone, so what can managers do to help colleagues rethink their route to work? How up to date is the travel plan? on and off-site provision for commuting and how these could be promoted or updated. A travel plan will also have objectives and targets, and so can be used to demonstrate measurable success of the various incentives and initiatives used to promote active commuting. 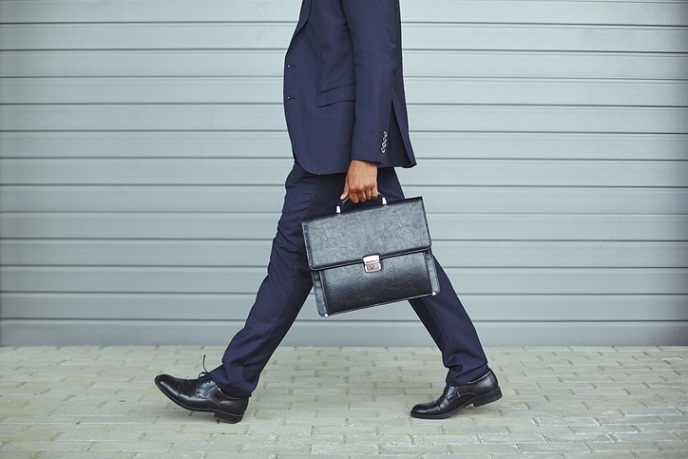 If staff walk, cycle or run to work, then they will need some facilities once they have arrived to make sure that they can attend their 9am meeting looking respectable. A quick audit of changing and washing facilities coupled with a survey of those who use them should identify whether the provision in the workplace is adequate for staff’s needs. As a minimum, staff will need somewhere to change and shower. There are no hard and fast rules on how many showers or changing areas are needed, but there should be ample facilities so that nobody has to queue to have a shower, or feel that they have to start work wearing their cycling or running kit. As a guide, Sustrans recommends that for up to 100 staff, male and female changing rooms with a shower each should be sufficient. Clothes and equipment for cycling or running does not have to be expensive — but can be — and so providing secure lockers should be a consideration to stop staff storing sweaty clothing under their desk. This also shows consideration for fellow colleagues as damp kit has the potential to cause unpleasant smells in the office. Secure drying areas for wet clothes should also be considered. As people invest more money in their bikes they will also need somewhere to keep them safe. Ideally, cycle storage should have the same security measures afforded to cars, be suitable for securing bikes, and be well-lit, dry and spacious to avoid damage from other users. Some larger offices may have these provisions in place — others might not. Many companies offer solutions for bike storage, and there are now options that include standalone modular units that can be placed in car parks to store bikes as well as providing showers, changing areas and lockers. information about public transport options that might allow staff to walk, run or cycle part of their journey. Alternative travel information can be provided in inductions and on the intranet. If this information already exists, consider reminding staff about where it can be found. What encouragement do people need? Facilities managers will play a crucial role in ensuring that the office, building or estate provides for the needs of active commuters. They might be asked to provide space for people running bicycle MOTs or cycling training courses, or perhaps open buildings earlier to hold events such as breakfast clubs for active commuters. Other, less obvious, requests might be in the form of support for staff. In these cases, managers will play a part in helping other teams run campaigns and schemes to encourage active commuting. How good are the supporting policies? As part of the travel plan, departments will need to work together to look at how travel policies can support a more active commute. Introducing the Government’s Cycle to Work Scheme is often touted as a good solution to help employees manage the costs of paying for a bike, but there are also other incentives that can encourage employees to be more active. Some examples include the following. Offering a competitive mileage rate for cycling. The maximum tax-free amount currently available for cycle mileage is 20p per mile. Considering offering a mileage rate for walking. Although financially this would not have the same tax-free benefits as cycle and car mileage rates, it would be a good way of demonstrating progressive policy. Reviewing flexible working policies to ensure that the organisation can accommodate any changes in routine that active commuting might cause. It is also worth reviewing how much time staff can travel within work time, eg between meetings. Reviewing whether active commuting could be combined with other benefits such as health insurance provision — some insurers are now using data provided by wearable fitness trackers (such as the Fitbit) to personalise insurance policies and to provide incentives and bonuses to people who meet daily targets of physical activity. Where are your employees going to live? Air pollution: should city cyclists be more concerned? Transport strikes — can employees work from home?